Black paint, ink splash, brushes ink droplets, blots. 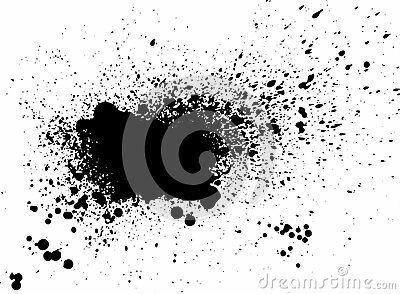 Black ink splatter grunge background, isolated on white. Vector illustration.